The John Paul II Catholic University of Lublin (KUL) is considered one of the most important universities in eastern Poland. The city of Lublin is home to four universities and several colleges, so it is an ideal city for students to study. KUL has 14,000 students, including approximately 600 international students. Courses are offered in 40 programs taught in Polish and English in the following faculties: Humanities, Social Sciences, Law/Canon Law/Administration, Theology, Philosophy, Biotechnology/Environmental Sciences, and Mathematics/Computer Science/Landscape Architecture. Extensive language training is also available. Students can take courses in major ancient and modern languages, including Chinese, Hebrew, and Sanskrit. 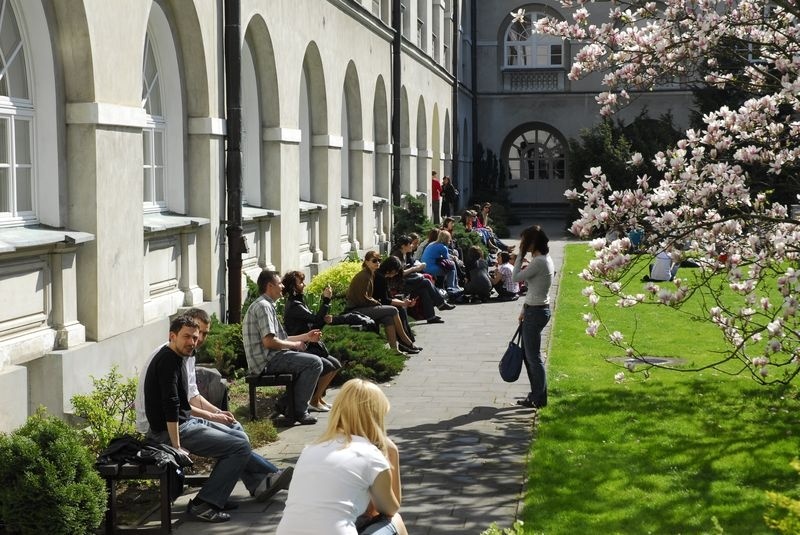 The university is home to the only Department of Celtic Studies in Poland, which offers courses in Welsh and Irish. The School of Polish Language and Culture of KUL offers Polish language courses for international and exchange students every year. All exchange students will be assigned their own Guardian Angel; a Polish student who will help an international student solve practical problems and adapt to the new environment. "After being a part of the program, I can definitely brag of having a little knowledge of Polish. This program has also increased my ability to adapt to a new environment and any situation I may find myself. It has also promoted my independence skills greatly, my interpersonal skills and my communication skills." UMass Boston ERASMUS+ student Giovanna Pessa studied at KUL in the spring of 2017. The language of instruction at KUL is Polish, however many courses are available in English in the following disciplines: Biotechnology, Philosophy, European Studies, Mathematics, International Relations, History, Psychology and Behavioral Sciences, Sociology, Education, Journalism, Economics/Management, and Languages and Philological Sciences. Please scroll down to "Course Transfers Reference Table" to see how courses from KUL transferred to UMB. Undergraduate and graduate students who have currently completed at least one year of full-time study with the most recent semester completed at UMass Boston are eligible. Students must be in good academic standing (at least 2.75 GPA) with no disciplinary problems. The application forms must be typed. Handwritten forms will not be accepted! Remember to sign the forms and get them signed by your university! You must send a complete set of application documents to be accepted. Please also be aware of the fact that your level of English must be good (at least B1) - you must be able to understand, speak and write both general and academic English. KUL has 3 dormitories and they are usually available for foreign students. A limited number of single rooms are available, which include kitchens and bathrooms shared with 4-5 other people. Double and triple rooms are also available. Students can also choose to rent a private flat on their own in Lublin. Students staying Poland must obtain a Student Long Stay Visa D (National). Each visa application must be registered in advance in the electronic system at the website e-konsulat.gov.pl. The applicant then needs to apply for a visa in person at the Consulate General in New York no earlier than 3 months and not later than two weeks before a planned trip. There is no expedited service to process an application. Visa processing can take up to 15 days. In individual cases, processing may take up to 30 days.